With this cheery fella on their homepage, Curtis Bay Energy must be sunshine and rainbows and large, open fields, right? Sadly, no. Curtis Bay Energy is Baltimore’s 13th-largest polluter, and is the nation’s largest medical waste incinerator – of course, located in Curtis Bay! In 1988, there were over 6,000 medical waste incinerators in the U.S. Thanks to air pollution regulations, most hospitals abandoned incineration for safer and more affordable non-burn alternatives, including 23 in Baltimore City that closed since 1995. As of 2013, there were just 33 left in the nation, and the two burners at Curtis Bay Energy in Baltimore count as two of them, with 1/3rd of the nation’s medical waste burning capacity. 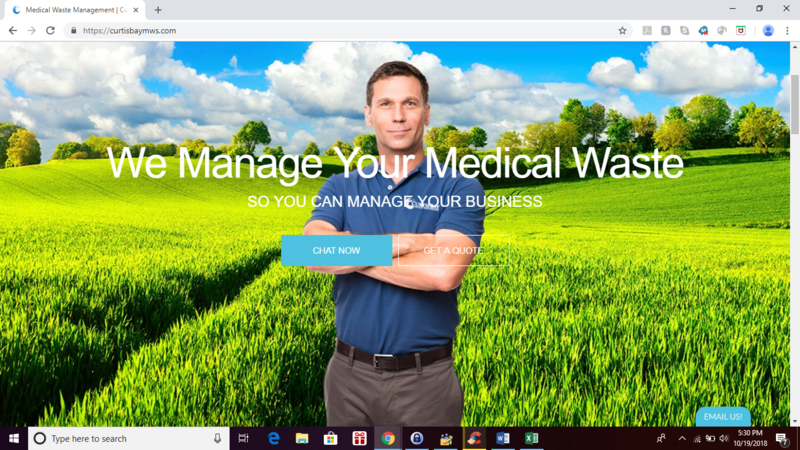 Online since 1991, the facility has changed hands and names multiple times, and is formerly known as Medical Waste Associates, Phoenix Services, Curtis Bay Energy, and now Curtis Bay Medical Waste Services. They have A pretty checkered history – from 2003-2005, for example, Curtis Bay Energy was cited for over 400 violations! Curtis Bay receives medical waste from 19 states, DC, and Canada! That’s right. Canadian waste is being burned right in our backyard! Medical waste incineration is not needed. Baltimore has enough non-burn medical waste treatment capacity to meet the city’s needs 20 times over, and have enough capacity to replace Curtis Bay Energy altogether. Learn more in this 4-page primer on medical waste in Baltimore.